Like Tigerbeat6's other recent development, Terrible Eagle, The Electric Set are an offshoot of Indian Jewelry, with all three featuring Brandon Davis. 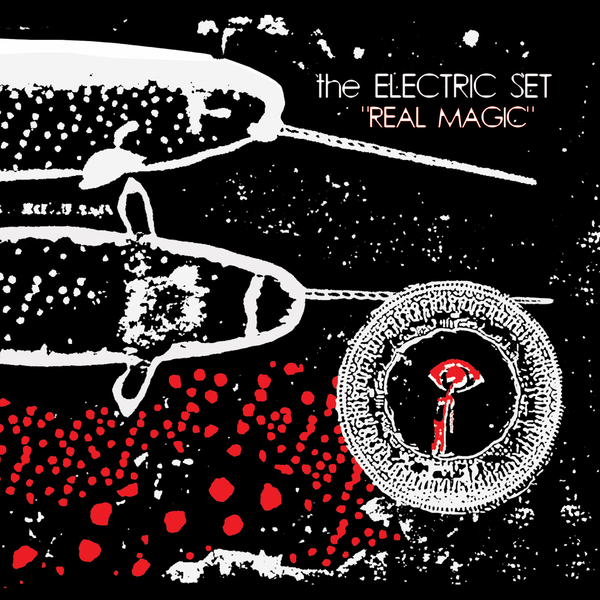 There's a little more substance evident in The Electric Set's electro-noise at times ('By My Hand' in particular) sounds like one of those shoddily recorded Joy Division live bootleg LPs, full of overdriven bass and coated in a kind of choppy, mucky fuzz, but elsewhere, mopey mantras like 'Everybody Dies' feels like a waste of everyone's time. On a more positive note, acoustic guitars brighten the record up on 'Let The Rain Come Down', which almost sounds like a Michael Gira Angels Of Light song, but on the whole these highly repetitive lo-fi excursions have a tendency to sound uninspired.